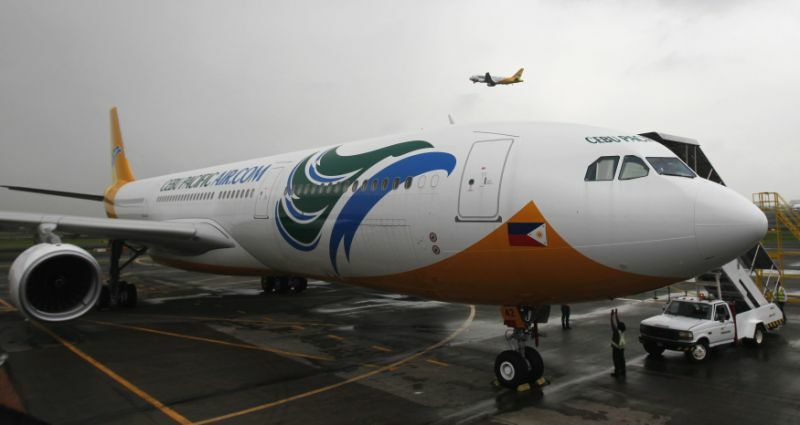 A Bohol-bound aircraft of Cebu Pacific was grounded after a passenger cracked a bomb joke right before the plane was supposed to depart from the Ninoy Aquino International Airport (NAIA) on Sunday. Passengers of Cebu Pacific flight 5J621, which was supposed to depart at 12:45 p.m., were asked to deplane, said Charo Lagamon, Cebu Pacific director for communications. “One of the passengers made a comment about bombing which was something that warranted additional security procedures to be implemented. Nakasakay na sila, so pinababa lahat ng pasahero pati yung bagahe kaya matagal siya,” Lagamon said. The airline official however did not go into details regarding the identity of the passenger but noted that the case was turned over to government authorities. “May’ policies on handling bomb jokes. Kahit na joke ‘yan, it is taken very seriously, there are penalties,” she added. Under the law, a person who makes a bomb joke at the airport may be penalized with a fine of over P40,000 or a jail term of more than five years, or both, depending on the court’s decision if a case is filed. According to Lagamon, a thorough security check was conducted following the incident. The precautionary measures took time to be completed, eventually causing the cancellation of the flight. The aircraft was supposed to fly to Bohol later in the day but Lagamon noted that there was limited time for the plane to reach the province before nightfall. The Bohol Panglao International Airport still does not have equipment to hold nighttime operations. “It entailed more time for security check. Ang Panglao airport hindi pa capable of night operations so the flight had to be cancelled,” Lagamon added.